Old Testament - Today in Isaiah chapter 60 we read about Jerusalem's future glory! Verses 4 through 6 tell us - "Look and see, for everyone is coming home! Your sons are coming from distant lands; your little daughters will be carried home. Your eyes will shine, and your hearts will thrill with joy, for merchants from around the world will come to you. They will bring you the wealth of many lands. 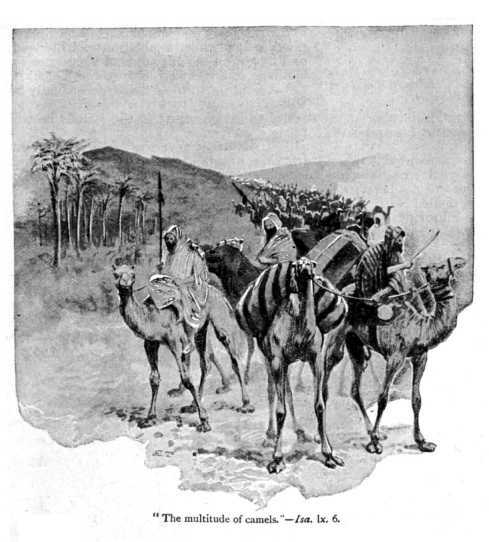 Vast caravans of camels will converge on you, the camels of Midian and Ephah. From Sheba they will bring gold and incense for the worship of the LORD." 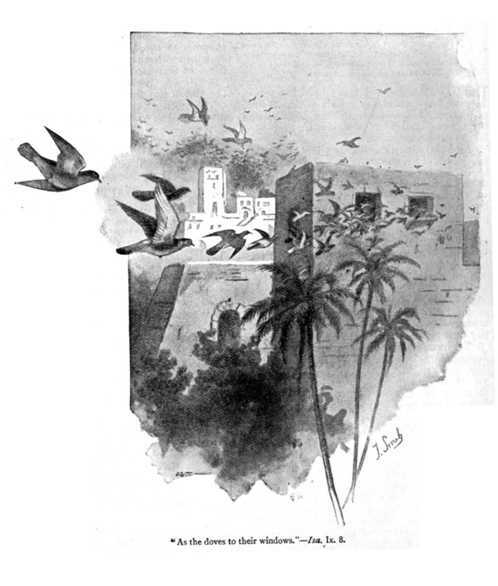 Beautiful imagery in verses 8 & 9 - "And what do I see flying like clouds to Israel, like doves to their nests? They are the ships of Tarshish, reserved to bring the people of Israel home. They will bring their wealth with them, and it will bring great honor to the LORD your God, the Holy One of Israel, for he will fill you with splendor." New Testament - Our readings in Philippians chapter 2 today have some powerful verses on imitating Jesus’ humility. In verses 3 & 4 we read: “Do nothing out of selfish ambition or vain conceit, but in humility consider others better than yourselves. Each of you should look not only to your own interests, but also to the interests of others.” Are you doing nothing out of selfish ambition or vanity in your life today? Are you humble? Do you consider others better than yourself? Do you look to the interests of others? I realize these can be hard teachings to put into practice – in fact, it seems almost impossible in our modern world. But, let us remember that indeed all things are possible with Jesus Christ in our lives and hearts. Let us not give up on imitating Jesus’ humility in our lives today. I pray each of us is becoming more like Jesus in some small or significant way each and every day. Don’t stop the transformation process. Let God change you. Psalms - I'll admit. I pay attention every single time the Bible talks about serving the poor. And it is a lot. And I think it is for a reason. Here it is again in Psalm 72 verses 12 & 13, speaking about Israel's king - "He will rescue the poor when they cry to him; he will help the oppressed, who have no one to defend them. He feels pity for the weak and the needy, and he will rescue them." What about us today? Does this Psalm speak to us? Should we perhaps be "kingly" in this regard? Do we rescue the poor when they cry to us? (do we even listen for their cry?) Do we help the oppressed and those who have no one to defend them? Do we feel pity for the weak and needy? Do we rescue them? Do I? Do you? Verse 20 tells us - "This ends the prayers of David son of Jesse." 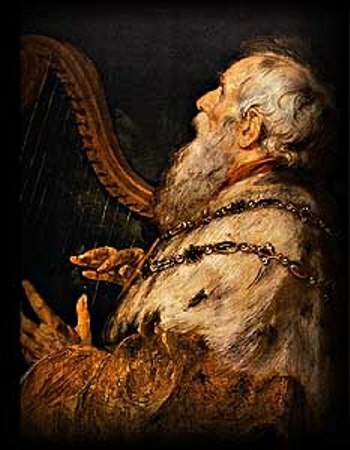 And below is a painting of an older King David... perhaps playing a Psalm he wrote...? Proverbs - Today in Proverbs chapter 24 verse 12 we read – “If you say, "But we knew nothing about this," does not he who weighs the heart perceive it? Does not he who guards your life know it? Will he not repay each person according to what he has done?” This reminds me of the old adage that we are “either part of the problem or we are part of the solution”. If we say “we knew nothing about this” related to some issue in our world today, do you think that God will know if this is truth or a lie? What is going on in our world today where you feel like you perhaps should be taking some action on being part of the solution? What is an atrocity that you are being called to help solve? Do you think you should now move forward and be part of the solution? If you do nothing – if you say you “knew nothing about this” – will you then instead be part of the problem? Will you move forward on being part of the solution to issues in our world that God is calling you to? What verses or insights stand out to you in today's readings? Please post up in the Comments section below! "The children of your tormentors will come and bow before you. Those who despised you will kiss your feet. They will call you the City of the LORD, and Zion of the Holy One of Israel. I am praying for the Peace (Shalom = Completeness in every area) of Jerusalem. I am praying that the spirit of terrorism be bound. I am also praying former terrorists will then come and willingly bow before the God of Abraham, Isaac, and Jacob – and into the city of Jerusalem to bow down to honor Israel as the city of Abraham, Isaac, and Jacob. 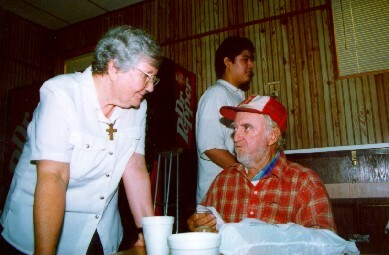 The Spirit of the Sovereign LORD is upon me, because the LORD has appointed me to bring good news to the poor. 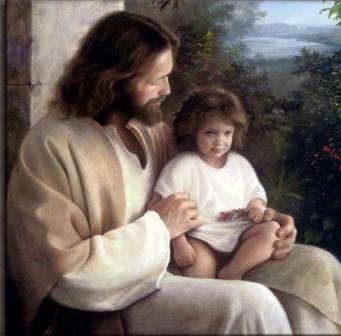 He has sent me to comfort the brokenhearted and to announce that captives will be released and prisoners will be freed. He has sent me to tell those who mourn that the time of the LORD's favor has come, and with it, the day of God's anger against their enemies. To all who mourn in Israel, he will give beauty for ashes, joy instead of mourning, praise instead of despair. For the LORD has planted them like strong and graceful oaks for his own glory. They will rebuild the ancient ruins, repairing cities long ago destroyed. They will revive them, though they have been empty for many generations. Because I love Zion, because my heart yearns for Jerusalem, I cannot remain silent. I will not stop praying for her until her righteousness shines like the dawn, and her salvation blazes like a burning torch. God’s love for the people of God, and the fulfillment of His covenant, is truly amazing! without being frightened in any way by those who oppose you. This is a sign to them that they will be destroyed, but that you will be saved—and that by God. since you are going through the same struggle you saw I had, and now hear that I still have. We need each other! We need each other to support one another! We need each other to contend as one man for the faith of the Gospel! Do we know and believe that “…it has been granted to you on behalf of Christ not only to believe on Him, but also to suffer for Him” ? And in human form he obediently humbled himself even further by dying a criminal's death on a cross. May we be humble like Jesus—truly in deed and word—so Jesus is seen in us. We need to be like the Lord Jesus and the world needs to see the Lord Jesus! I watched the new season opener of "Smallville" last night. In the episode, Jalel (Superman's father) tells Kalel (Clark Kent) that he must study hard and go through all of the training in order to save the earth. His father Jalel told Kalel (Clark Kent) that his emotions, not controlled, were his weakness. Thus, his emotions humans must be guided by instruction provided by his father. though He was a Son, yet He learned obedience by the things which He suffered. For everyone who partakes only of milk is unskilled in the word of righteousness, for he is a babe. But solid food belongs to those who are of full age, that is, those who by reason of use have their senses exercised to discern both good and evil. Jesus, the Perfect human, had to learn obedience through what He suffered. Thus, He was made perfect (or, inherent perfection within came through). We also need to feed on “the doctrine of righteousness—solid food—so our senses are trained by practice to see the difference between right and wrong—and then to obey the right, by the Spirit of Christ within! Thus, OUR emotions humans must be guided by instruction provided by OUR FATHER through the Word of Righteousness.